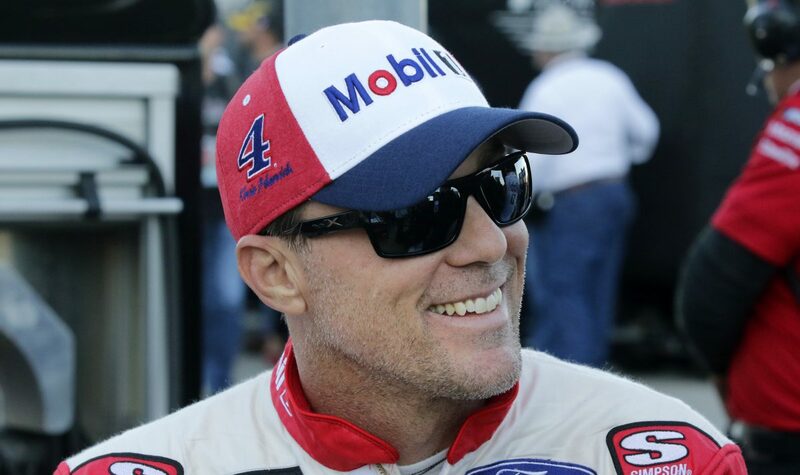 Kevin Harvick will have Mobil 1 as his primary sponsor for Sunday’s Monster Energy NASCAR Cup Series race Sunday at Martinsville (Va.) Speedway. It will be the first of nine races Harvick will be sponsored by Mobil 1, which has a long history of great success in auto racing. For 2019, the No. 4 Mobil 1 Ford Mustang for Stewart-Haas Racing (SHR) has switched to a black base color conveying power, strength and sophistication. And one of Harvick’s SHR teammates will have a car that looks very similar this weekend. Harvick and SHR’s Clint Bowyer will each sport a Mobil 1 paint scheme at Martinsville. Mobil 1 isn’t just the world’s leading synthetic motor oil brand, it also provides the entire SHR organization with leading lubricant technology, ensuring that all SHR Mustangs have a competitive edge over the competition on the track. In its 17th consecutive season as the “Official Motor Oil of NASCAR,” Mobil 1 is used by more than 50 percent of teams throughout NASCAR’s top three series. The No. 4 Mobil 1 Ford Mustang was driven to victory lane twice last year, one as a co-primary sponsor in August at Michigan International Speedway in Brooklyn, and as a full primary in October at Texas Motor Speedway in Fort Worth. But the lubricants Mobil 1 provided helped Harvick to all eight of his 2018 wins, plus a victory in the prestigious NASCAR All-Star Race. Harvick is hoping for another victory in this week’s Martinsville 500. He has one win, five top-threes, 17 top-10s and has led a total of 628 laps in his 35 career NASCAR Cup Series starts at the flat half-mile, paperclip-shaped oval. His average start there is 14.3, his average finish is 15.3, and he has a lap-completion rate of 98.0 percent – 17,196 of the 17,539 laps available. It’s been eight years since he won a Cup Series race at Martinsville, and he would like another grandfather clock, which is awarded to the winner of each race. But he has won in other divisions. Harvick has made the most of his one and only NASCAR Xfinity Series start at Martinsville Speedway. He started sixth in the Goody’s 250 on July 22, 2006, and went on to lead 149 of 250 laps en route to a victory. In NASCAR Gander Outdoors Truck Series competition, he has three wins, seven top-five finishes and nine top-10s in 17 starts. He’s back in black this week at Martinsville. And he’s hoping to score a huge win. Mobil 1 is your sponsor this week. Talk about the company’s involvement.